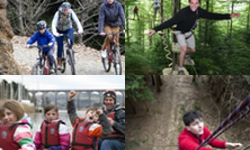 These terms and conditions apply to the activities provided by Tamar Adventures Ltd, Water Sports, Ropes Course, Tree Jump, Archery, Bush Crafts and mountain biking. 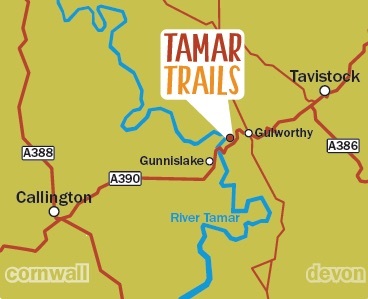 Tree Surfers and Canoe Tamar are trading names for Tamar Adventures Ltd whose registered office is at Woodlands, Gulworthy, Tavistock, Devon, PL19 8JE and whose registered company number is 7780381. Tamar Adventures Ltd reserves the right to make alterations to the activities provided. The activities are physically, mentally and emotionally challenging. Participation in the activities with Tamar Adventures entail some risk of injury. A fall from the ropes course could be fatal. All staff employed by the company are trained and appropriately qualified to supervise activity sessions. The company will at all times seek to limit the risk of injury or death. However the customer accepts that accidents and injuries can happen. Schools/groups need to accept that all individuals must be responsible for their own actions and safety and the safety of others on the activity. Both the company and schools/groups agree to take all reasonable steps to ensure the safety of all concerned with the activity. The environment that the activities take place is a wild one which has natural hazards and risks. All participants must at all times follow the safety instructions and ensure that the safety system is being used correctly. All participants will be given a safety briefing by an instructor prior to starting any activity. Payment can be made by cheque posted the registered office address below, made payable to Tamar Adventures Ltd or by contacting the office on 01822 833 409 and paying by debit or credit card. Bookings are deemed to be accepted once the deposit has been received. The deposit is non-refundable. If numbers decrease before the final payment is due, the deposit will not be refunded however we will not charge for the balance of the cancelled spaces. Final numbers and Full payment of the balance is due 4 weeks prior to the activity date. Any cancellations after this point are non-refundable. Bookings cannot be made without accepting these terms and conditions. It is the customer’s responsibility to ensure they have booked the correct activity and that they arrive with sufficient time. Whilst every attempt is made to ensure that the activities are available, the company will notify the school/group of cancellation as soon as practicable where it believes on reasonable grounds that cancellation is necessary due to dangerous and/or unsuitable conditions for the activity. Schools/group will be entitled to a full refund in the event of the company cancelling the activity, but will not be entitled to any compensation. The company does not accept any responsibility for the loss or damage to any property belonging to school/groups whilst on site or participating in the activities. Participants need to wear sensible enclosed footwear and appropriate clothing for the weather that day. Packed lunches are available but must be pre-ordered. On site café can provide drinks and light snacks. 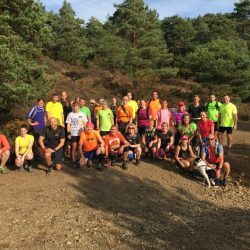 If you are organising activities for a group you must ensure all participants are aware of the booking terms and conditions, clothing details and lunch arrangements.